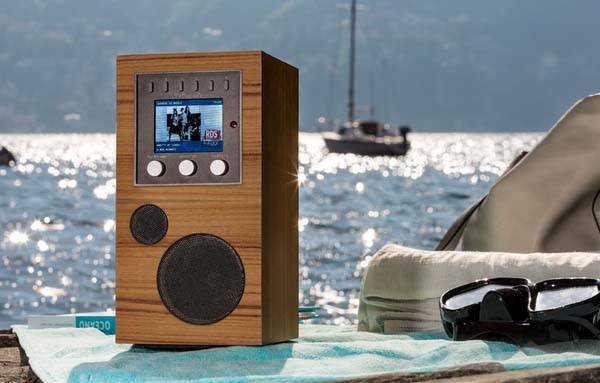 Bluetooth connectivity, WiFi radio and FM radio have been integrated in Como Audio Amico wireless speaker, which delivers multiple ways to enjoy your favorite music, podcasts and radio stations. Cool? Let’s continue checking. 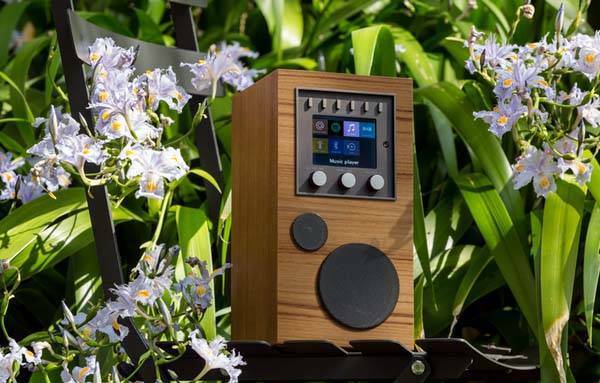 The Amico is a beautifully designed and well-crafted portable wireless speaker. As we can see from the images, the speaker shows off a concise and tasteful appearance design. Its wooden casing is made out of marine plywood and finished in teak hardwood for a solid construction and charming natural wood grain. 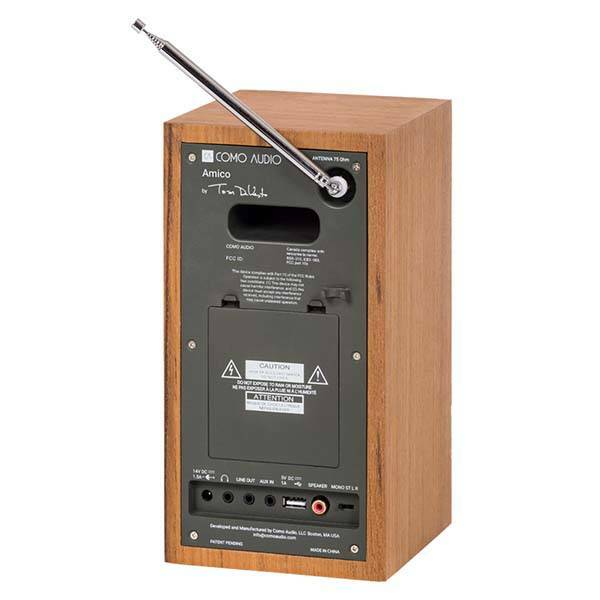 The wireless speaker comes equipped with a 3″ woofer with four layer voice coil, a 3/4″ dome tweeter and two 30W RMS amplifiers in order to produce high-quality audio. In addition to built-in Bluetooth with aptX for streaming CD-quality wireless audio, the Amico also features integrated WiFi module, so just pressing the desired button with your saved presets allows it to play your music from Spotify without needing to pair with your smartphone, and integrated WiFi radio allows you to access to over 20,000 radio stations. Furthermore, the Amico also features a built-in FM radio, and a full-featured companion app lets you easily control and set the speaker. Its rechargeable battery offers up to 8 hours of play time on a 4-hour full charge. Moreover, the wireless speaker also works with Solo and Duetto wireless speakers, forming a powerful multi-room speaker system that allows to play different music in any room or sync all of the rooms together. In addition, other features also include dual alarm clock, snooze and sleep timer and an independent remote control. The crowdfunding campaign for Amico is ongoing on Kickstarter. You can pledge $230 will let you own the wireless speaker. If reaching its fund goal, it would be shipped in October 2017. BTW, don’t miss Mondo+ Internet radio and more related gadgets by following tags. The speaker has been available on Amazon for $399 USD.